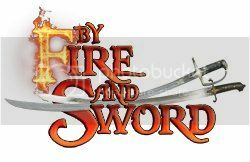 Ogniem i Mieczem - By Fire and Sword • Wyświetl temat - New US webstore is ready to start! New US webstore is ready to start! Tytuł: New US webstore is ready to start! We have an excellent news for our dear US customers. Our new official store in US run by Alisha and Karl Shanstrom is ready for your orders. and look at new amazing offers they have for you. Karl and Alisha will be participating at a lot of conventions (including Historicon obviously) and will help bring By Fire and Sword to the US market. It's worth to mention that for first 100 orders of $75 or more (excluding shipping cost and taxes) you will receive a special miniature of medic. As probably many of you know Karl is a physician. Rules for this miniature will be published tomorrow. If you are a retailer interested in carrying the BFaS range or you think your FLGS should have it please contact Karl and Alisha directly at admin@wargamerllc.com or call 719 568 5165 .